I took a flower arrangement lesson for the first time. I was the only student for today's lesson. The teacher taught me the flower arrangement outline. Then I chose a basket and flowers. 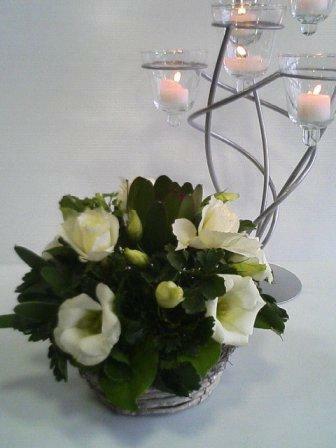 I used white roses and turkish bellflowers. I was satisfied with my work.